Happy Birthday, most beloved cousin of all!! 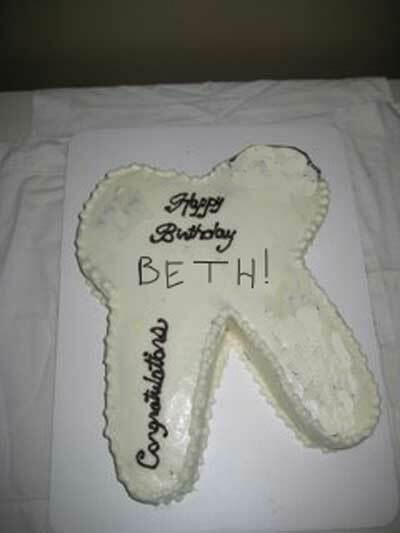 It's Beth's birthday!! Yippeeee!! Oooooooooooooooooooohhhhh! That beautiful toothsome cake took my breath away. I totay love it. Thank you so much, DJ. It's awesome. I knew that you were risking life and limb to call me, but I had no idea you were baking for me too! You are wonderful!!! And something that beautiful was probably absolutely delicious - how could it be otherwise. Perfect roots with a perfect crown - yum! And Uncle D and CG, thank you both for the greetings too.